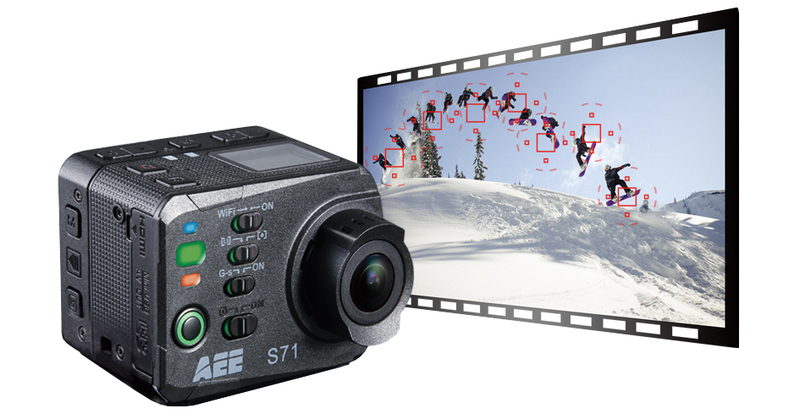 Thanks to its 4K / 2.7K Ultra High Definition (UHD), the S71 sports camera by AEE is one of the most powerful mini cameras in the S series. It will allow you to capture great quality pictures for an unbeatable price and offers 3 Full HD video modes: 1080p60ips / 960p60ips / 720p120ips. The S71 allows you to take superb pictures up to 16MP thanks to a Sony CMOS Exmor R sensor. It makes the most of the light it gets in order to provide extremely sharp and detailed images even when in low light environment. It offers a super wide view angle, a 10X digital zoom, and a burst mode shooting up to 10 frames per second. The S71’s case is made for diving. 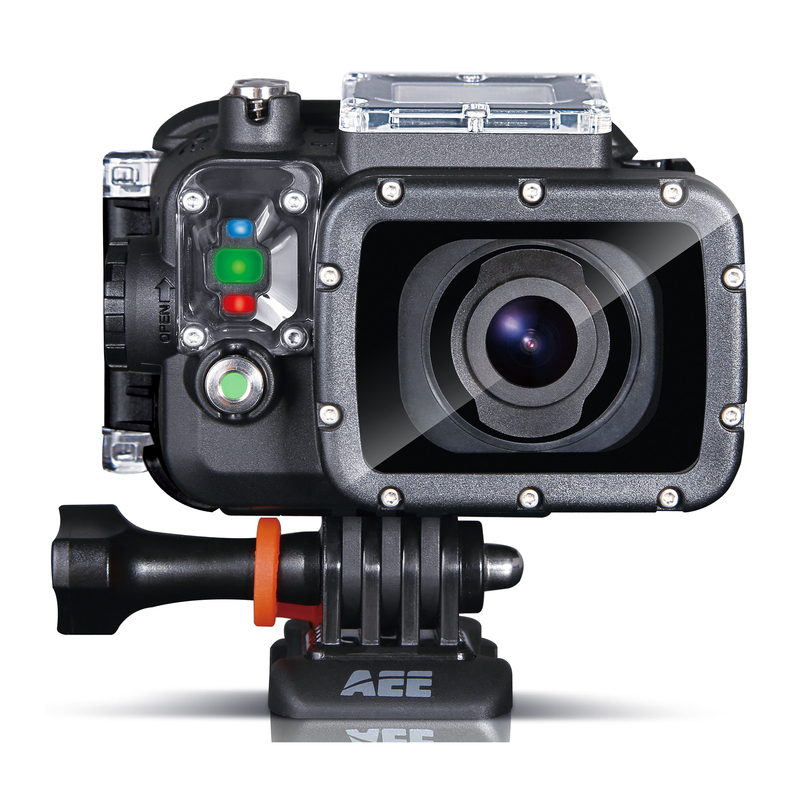 It’s equipped with a flat lens ideal for underwater shots and to keep a wide angle of view. The case is also both resistant to shocks and completely waterproof up to a depth of 100m. 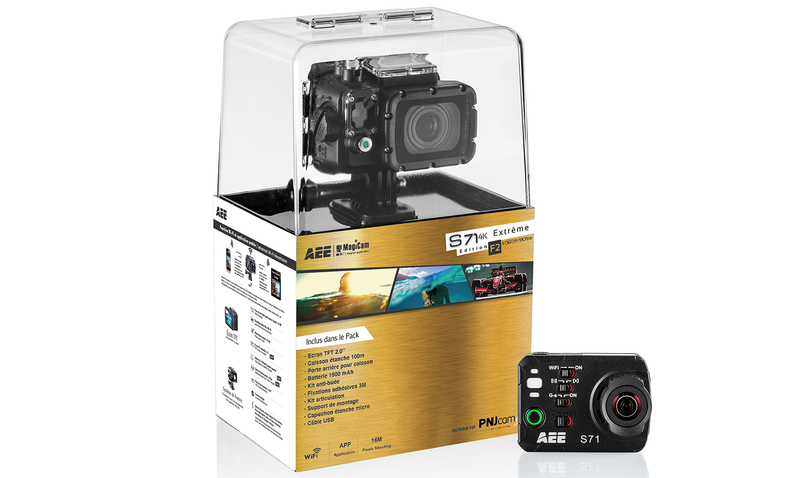 It comes with 2 rear doors so you cam use your camera with or without its removable screen and still be able to fit it into its waterproof case. 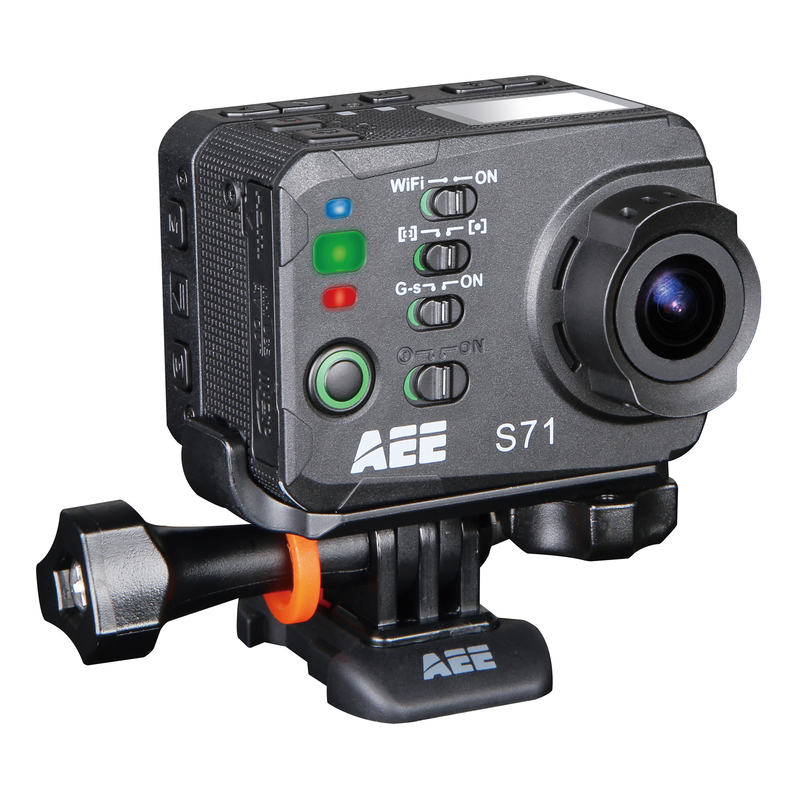 The S71 can connect to a external microphone to optimize the sound quality of your recordings and make your videos more dynamic. With the included removable TFT screen, you can easily navigate the menu and adjust the photo and video settings. You can also do this via the LCD screen at the top of the camera, in case your S71 is in its case or if you are not using the TFT screen. The S71 offers an advanced WiFi performance and the ability to trigger video recording or photo shooting via your smartphone orr tablet. 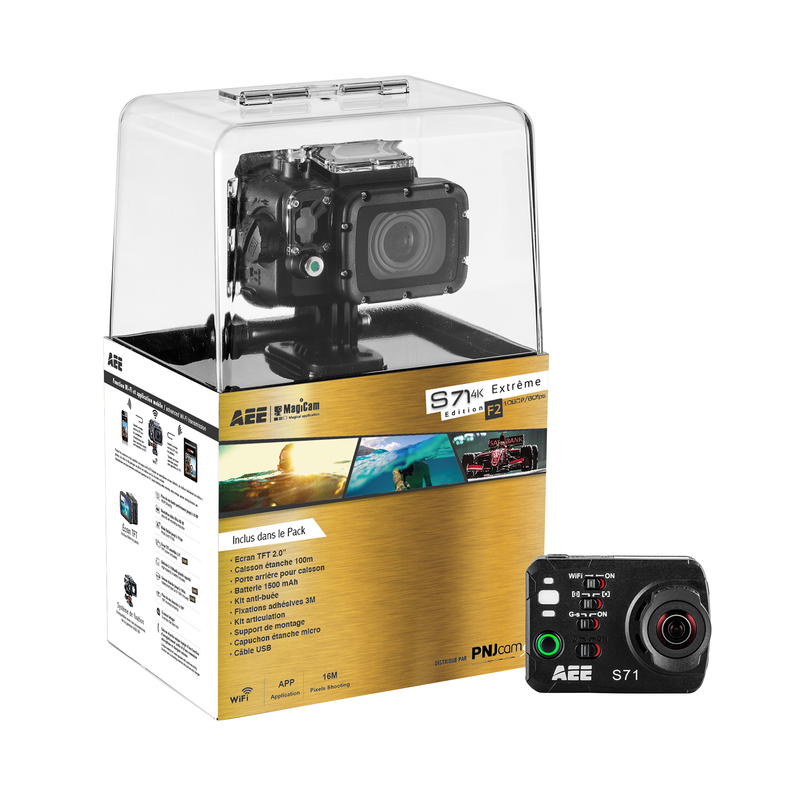 Control and adjust your camera settings via the free “AEE APP” app available in the Apple Store and Google Play. With the timelapse Video Mode, you can take multiple pictures at intervals of 0.5 to 30 seconds. Then You don’t have to do any editing work in post-production as the taken pictures are directly grouped in a single video file. 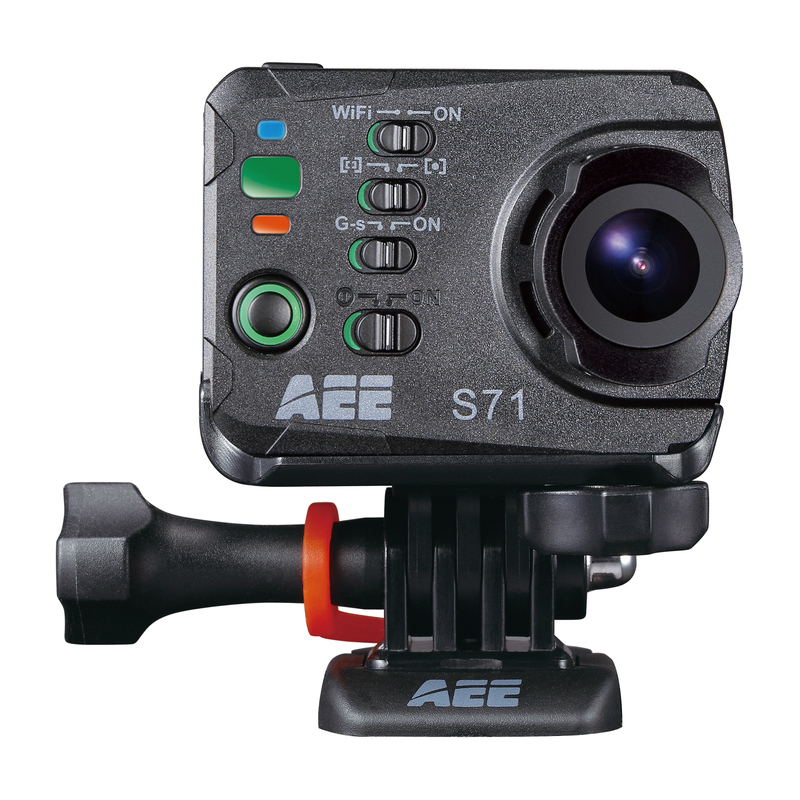 The S71 incorporates a G-sensor motion sensor that automatically starts video recording as soon as the camera senses an acceleration. This innovative feature will help thrill seekers discover a new way to immortalize their performance.